Manchester City has denied speculation that it is interested in Barcelona duo Cesc Fabregas and Sergio Busquets, stating that it has not made an offer, and is not planning to either. Reports had suggested that City had made contact with the Spanish giants about the availability of former Arsenal man Fabregas, and also Busquets, who made his 50th appearance for his national team in the 1-1 draw against France. However, the English club stated that this is not the case, and it will not be inquiring about the Spanish duo. A Manchester City statement said: "There's no basis to these claims and the club has neither made nor is it planning to make an offer for these players." City strengthened its midfield in the summer with the acquisition of Javi Garcia from Benfica, though it did also see Netherlands international Nigel de Jong leave for Milan. 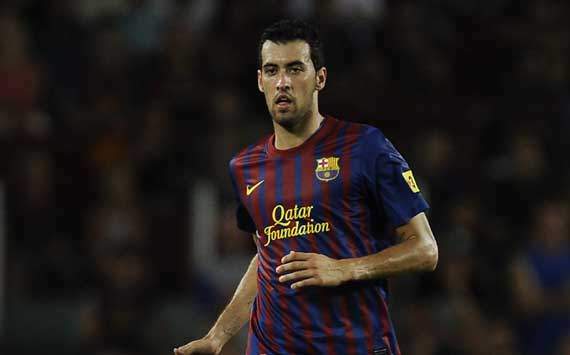 Fabregas left Arsenal for Camp Nou in summer 2011, for an initial fee believed to be in the region of 23.5 million pounds, while Busquets has been at the club his entire career, joining the youth team in 2005.